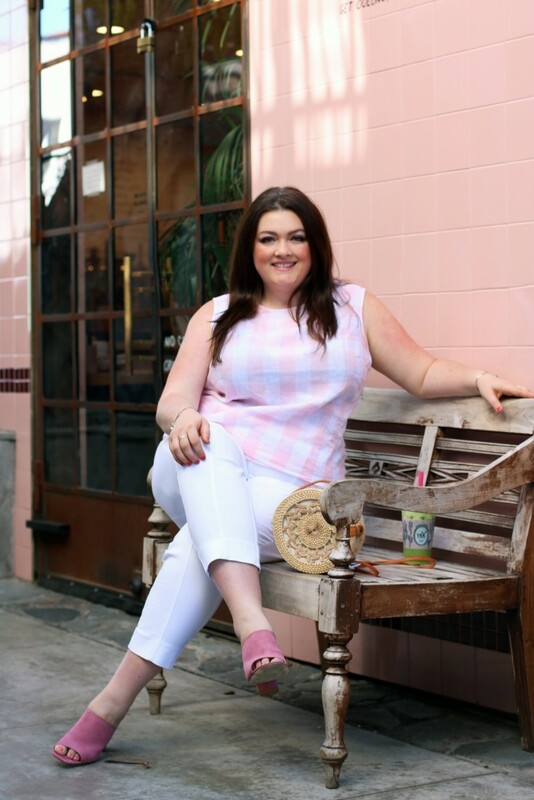 If you haven’t heard, J.Jill has some effortlessly chic clothing for women of all sizes. With the launch of their latest Spring collection, they’ve nailed the trends perfectly. Offering various classic silhouettes and beautiful colors, these clothes fit my active, on the go lifestyle. I honestly love the versatility of these pieces and I could just as easily picture myself wearing these ensembles on the beach for my vacation just as much as I could roam the city streets of LA. If you’ve been wondering what the “it” print for Spring is, you can definitely find it in this collection from J.Jill. 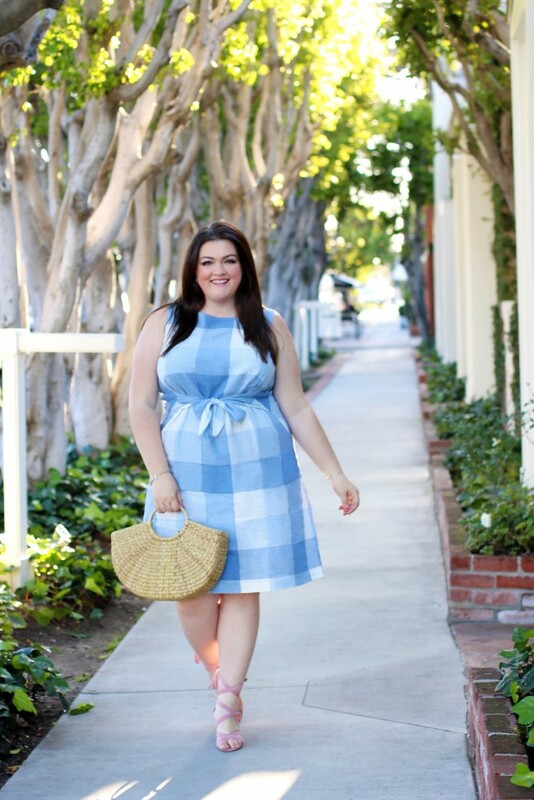 There are so many ways to wear gingham from now through Summer. 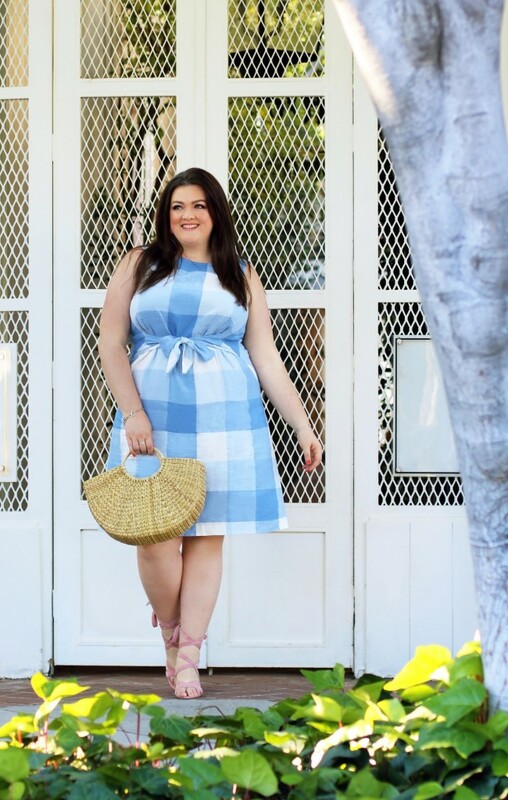 So naturally, I fell in love with these gorgeous, easy breezy gingham pieces in colors like light pink, blue and gray—all perfectly on trend for Spring. Dresses are the epitome of Spring for me and this sleeveless linen gingham number is no exception. The front tie is a nice style element because it adds just a touch of shape to my silhouette without being too tight! It’s perfect for meeting with clients, lounging by the pool or running errands. I opted to style this dress with light pink wedge sandals and raffia bag for a more casual but pulled together look. Pair this with flats for an all-day look, a floppy hat for the beach or throw a denim jacket over it for some layers! My second look of the day was this cute sleeveless gingham top! It has the perfect amount of shape without being too loose. It also buttons up the back which makes it easy to wear alone or layered in this case like I did! 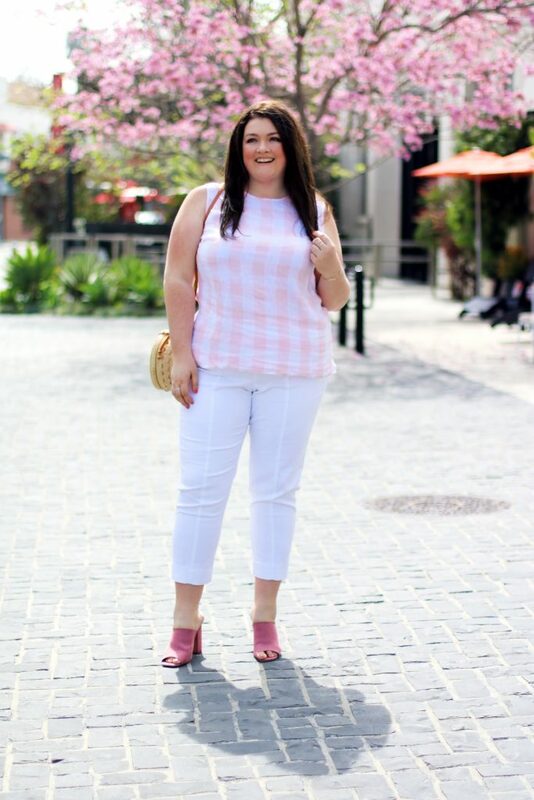 Since I have been loving the white and pink trend for spring, I paired this top with one of my basics–the white ankle pant, which are some of the most comfortable, best fitting pants I own. There you have it–my favorite pieces from the J.Jill Spring Collection, available now to shop online. Let me know what some of your favorites are! Love the second look. Where do I get the clothing I am a size 22. Hi Felicia – Thanks so much for reading my blog! You can click any of the links and I am happy to email you them as well!